We have enjoyed creating The Model Railway Show but after two and a half years, in which we have produced 52 regular episodes and a number of specials, Jim, Trevor, Chris, Otto and David have decided it’s time to get back to our work benches. This episode of The Model Railway Show is brought to you by the team at The Model Railway Show. Thanks for listening – you’ve been great! Robert Simmons, layout builder and used ambulance owner. Lance Mindheim, author and layout builder. Packing a layout to take to a show is always a lot of work, but having the right vehicle helps – a lot. Just ask Robert Simmons. Robert needed a better way to transport a large N scale layout to exhibitions – and he found the perfect ride in the form of a used ambulance. Robert joins Jim to explain why a cast-off emergency services vehicle is a great way to transport a layout. He describes the modifications he had to make to make the ambulance legal for civilian use, and how owning and driving an ambulance differs a pickup truck or cube van. And while he’s never been called upon to save lives at a miniature railway, Robert does note many people slow down and pull to the side of the road to let him past. Many hobbyists talk about the day when they’ll have a basement-filling (or quonset-hut-filling) multi-deck empire. In the meantime, they do without a layout because they don’t feel they have the space to build something satisfying. And for some, who acquire the space they feel they need, they find that the layout they build is so overwhelming that the hobby becomes a job, and – eventually – the layout sits idle while the builder finds other ways to occupy their time. Lance Mindheim – a regular on the show – gets the last word as he joins Trevor to discuss an important, but often overlooked, part of the layout design process: How we plan to interact with our layout in a way that is satisfying and achievable. Understanding the factors that affect our hobby – from the amount of spare time we have to fill, to the availability of friends to help build and operate the layout – is key to our happiness in the layout room. Lance feels we should strive to operate our layouts frequently – several times per week. To do this, we must be able to run short sessions – anywhere from 15 to 45 minutes, depending on how much time we have – and be able to run these sessions solo, or with one or two other people. This flies in the face of conventional wisdom in the hobby, in which a large layout capable of hosting multi-hour marathon sessions for a dozen or more hobbyists. You can read more about his idea on Lance’s blog (look for the September 30, 2012 entry – also reproduced as a feature for Railroad Model Craftsman online). Meantime, Lance joins Trevor to explain the value of this approach and how to apply it to existing layouts, as well as new designs. Go nuts at the 8th annual Narrow Gauge Madness show – April 13 in Schomberg, Ontario! This podcast was a volunteer effort – a labour of love – and while we enjoyed interviewing so many great guests and creating these shows, it has demanded a fair bit of hobby time. So with this episode, we turn off the mics at The Model Railway Show. Lynn Mitchell, spokesperson, Woodland Scenics. It’s time to challenge another convention in model railroading – namely, that for a beginning hobbyist who is building a first layout, the best design choice is the 4×8 rectangle. For decades, the 4×8 has been a staple of track planning, particularly in HO scale – in no small part because it’s the most common size used for plywood sheet goods in North America. And while 4×8 layout designs still feature regularly in magazines, books, and online, a number of modelers who enjoy thinking about layout design feel it’s time to do away with the plywood slab. But this raises a question: If the 4×8 is not the best choice for a starter layout, then what is? As more experienced hobbyists, we’ll never be able to retire the so-called “sacred sheet” unless we can offer beginners some suitable alternatives. 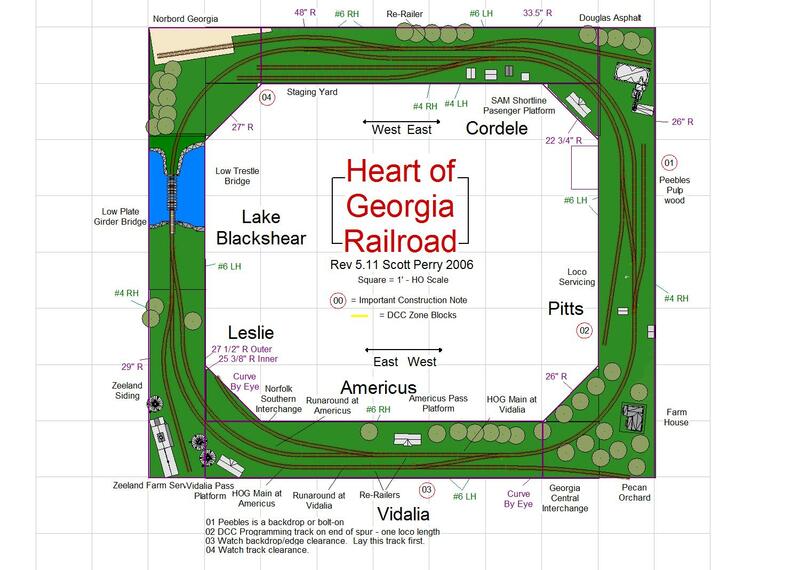 Scott is prolific online: In addition to sharing his own modeling adventures, he maintains a blog about The HOG, where one can find the layout plan, benchwork cutting and assembly diagrams, ideas for operating the HOG RR, and more. Scott also moderates The HOG Newsgroup where current, prospective and past HOG layout builders can ask questions, discuss variations, share encouragement, and show off their progress on their layouts – all with the goal of providing beginners with a better start into the hobby. Scott joins Trevor to discuss how this design came about, why he wanted to offer an alternative to the 4×8, and share some of the success The HOG has enjoyed. Older modelers will remember the days of dyed sawdust, zip texturing and – gasp – mixing asbestos into plaster to make it stronger. We’ve come a long way in scenery-building, and in North America at least that’s thanks in large part to one company: Woodland Scenics. Four decades ago, this company popularized products and techniques that were previously used primarily in the architecture profession. More importantly, the company developed a scenery system – a complete approach to everything from foundation to finish, with rocks, trees, ballast, ground covers, plus the how-to manuals and videos that took the mystery out of building scenery. Woodland Scenics spokesperson Lynn Mitchell joins Jim to discuss the company’s role in the hobby. She also describes the fire that broke out just over a year ago at the company’s facility in Linn Creek, Missouri. And she provides a teaser for what’s to come this year from Woodland Scenics. Make a day of it in San Bernardino, CA at the Western Prototype Modelers meet – April 13! Jim speaks with Robert Simmons about his unique set of wheels for transporting a layout to shows. Trevor welcomes back Lance Mindheim to talk about why we should run our layouts several times per week. Dave Frary needs no introduction – especially not to narrow gauge enthusiasts who look to the eastern seaboard for inspiration. In the 1970s, Dave and his friend Bob Hayden introduced many hobbyists to the charms of HOn30 with their influential, four-part Thatcher’s Inlet series for Railroad Model Craftsman magazine. (If you missed it the first time around, that series can be found online at the HOn30 Home Depot as a 22-page PDF.) Dave has also penned a number of books (including the go-to guide for scenery, How to Build Realistic Model Railroad Scenery) and hosts a series of DVDs and downloadable videos – all available through his Blue Ribbon Models website. Dave joins Jim to discuss the demands of building a layout for a museum, his long-time friendship with Bob, how the scenery book came about, and the aspect of scenery-building that scares modelers the most. This is a model. Seriously. The trees in that photograph can be found on Pempoul, a French meter gauge exhibition layout built by Gordon Gravett in 1:50 scale. Have a look at more of Gordon’s work. Google “Gordon Gravett Pempoul” and you’ll find more images, such as these… and these… and these. You’ll even find some video (we like this one). While all of Gordon’s modeling is of exceptional quality, what you’re likely to remember most are the trees. Gordon builds some of the most realistic trees ever seen on a model railway – and, so that you can too, he has written two books that describe his techniques. They’re called Modelling Trees Volume 1 (Broadleaf) and Modelling Trees Volume 2 (Conifers), both available from Wild Swan Publications in the UK. Gordon joins Trevor (who was fighting a nasty cold at the time) to discuss why he feels it’s important to model trees correctly on a layout and how his techniques evolved. He also discusses why he looked across the English Channel to Brittany to pick a French meter gauge subject for his layout, and why he built Pempoul in the unusual scale of 1:50. Make plans to attend the 11th annual Australian Narrow Gauge Convention in Melbourne – March 29-31! Jim speaks with Joel Priest who, at 12 years old, recently became the youngest ever hobbyist to achieve the NMRA’s Master Model Railroader status. Trevor talks with BNSF locomotive engineer Greg Amer about how he’s using his prototype-based, finescale HO layout to engage his two young kids in the hobby. This episode of The Model Railway Show is made possible with the support of O Scale Trains magazine. Andy Reichert, owner, Proto:87 Stores. Digital cameras make great modeling tools, but the ability to see our layouts larger than life on a computer screen means the little details – or lack of them – start to make a difference. Those wanting to build a layout that looks as lifelike as possible must pay attention to many aspects of modeling, including how they model track. Football-sized spikes just don’t cut it. Modelers looking to improve the appearance of their track work often turn to finescale options. In HO scale, that means Proto:87, and for these modelers, Andy Reichert‘s track components are essential. Andy runs Proto:87 Stores, which offers a selection of track-building supplies – from spikes to switch components – to build accurate track in Proto:87 and in regular HO. Many modelers working in other scales and gauges are making use of his products, too. Andy joins Trevor to discuss why he started Proto:87 Stores and how hobbyists are using his products to build more realistic track. Brooks Stover joined us on our last show to discuss the website he built for the Buffalo Creek and Gauley Railroad. This time out, Brooks and Jim continue their conversation as they switch their focus to Brooks’ beautiful S scale layout. Brooks has written a book about his layout, in which he offers four good pieces of layout planning advice. He and Jim discuss the four principles that helped Brooks design, build and complete a satisfying layout in a remarkably short period of time. If your layout is languishing while you sweat the small stuff, Brooks’ approach may be just what the doctor ordered. Make plans to attend RPM-East – the railroad prototype modeler seminar – in Geensburg PA, March 22-23! Jim speaks with author and modeler Dave Frary about writing one of the hobby’s most significant scenery books, and about building a model railway exhibit for a museum. Trevor talks to author and modeler Gordon Gravett about his exquisite tree models and the two how-to books they inspired. If you’re an armchair modeler, here’s a New Year’s resolution worth keeping: Get out of the chair and start on a well-designed layout that will be quick to build and detail to a high level, yet also offer opportunities for engaging operating sessions. Not possible? Don’t tell James McNab, who is proving it can be done. James is modeling the Iowa Interstate’s Grimes Industrial Track – an industrial switching spur – in HO scale. He’s faithfully replicating the prototype in a 12′ x 18′-8″ space featuring narrow shelves and plenty of space for people. James joins Trevor to discuss his choice of prototype, the advantages of picking a manageable theme, and how he uses prototype practices to keep operating sessions interesting. If you’re looking for inspiration to get out of the chair and build a layout this year – or just want to follow his progress – James’ Grimes Line layout has its own section on the Iowa Interstate fan site, he’s blogged about it on Model Railroad Hobbyist‘s online community, and has posted videos of his layout on YouTube. Brooks Stover has written a lot about his S scale layout, which replicates the Buffalo Creek and Gauley – a West Virginia short line. But he admits that one of the most satisfying articles he’s written is not about his layout. The article appeared in the September 2009 issue of Railroad Model Craftsman magazine – and it’s about Brooks’ website. 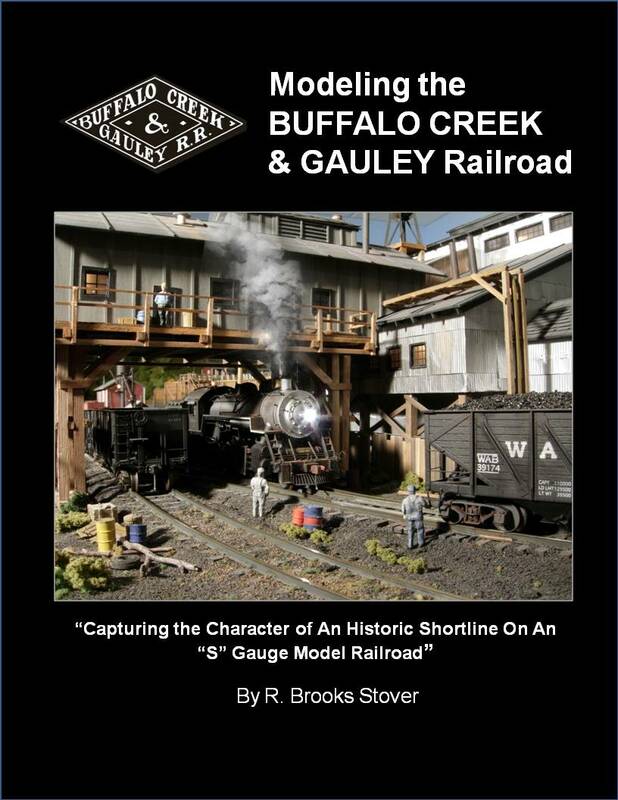 The Buffalo Creek and Gauley website has become the go-to site for all things related to the railroad and how to model it. As Jim and Trevor discuss in this episode, blogging is an easy way to create a web presence – one that does not require a huge amount of technical expertise. Two popular providers that can get you up and blogging immediately – and at no cost – are WordPress (which Trevor uses to maintain a blog for his layout) and Blogger (used for the blog written by members of the S Scale Workshop – a modular group to which both Jim and Trevor belong). Jim and other members of the S Scale Workshop will be displaying their modular layout for the first time at this huge annual show. You’ll find them at Section 166 of the Mallary Complex – drop by and say hello to Jim! Jim and Trevor will be moderating a panel on the state of hobby manufacturing at this convention, sponsored by the Niagara Frontier Region of the NMRA. Time to start planning the trip to this year’s NMRA National Convention! This extremely popular convention for all things narrow-gauged is now in its 33rd year. Jim welcomes back Brooks Stover to discuss his four principles of layout planning. Trevor talks to Andy Reichert from Proto:87 Stores about how an interest in trolleys evolved into becoming a supplier for super-detailed track for HO scale. Seth Neumann and Chris Drome, layout builders and electronics gurus. Troels Kirk, layout builder and artist. The model railway hobby is full of sub-hobbies, and for Seth Neumann and Chris Drome one of those sub-hobbies is electronics. They enjoy developing high-tech systems to enhance operation on Seth’s HO scale, modern-era layout. Taking their cue from today’s full-size railroads, which use Automatic Equipment Identification (AEI) systems to track rolling stock, Seth and Chris have developed a similar system for Seth’s layout. It relies on Radio Frequency Identification – a proven and popular system for inventory control, lost pet identification, and other tracking needs. As Seth and Chris tell Trevor, the layout’s RFID system uses tags on each piece of equipment to be tracked, plus readers to track them. They note the installation has proven to be very reliable and has enhanced operating sessions. They also offer some suggestions for those looking for more information, including the RFID for Model Railroading Yahoo Group. Troels Kirk doesn’t like airbrushes and he doesn’t believe hobbyists need dozens of custom-mixed paint colors. He also prefers paper over wood or styrene when building structures. While many modelers may find those approaches unconventional, there’s no question that the approach works for Troels, who is building a stunning narrow gauge railway set on the Maine coast. In just a few short years, the On30 Coast Line RR has become a hugely influential layout for narrow gauge enthusiasts around the globe. Troels, a Danish artist living in Sweden, is a prolific model-builder who regularly publishes progress photos on the Coast Line RR’s page on Facebook, offering a near-daily dose of inspiration. His techniques are described on a one-hour DVD called Realistic Color for Railroad Modeling, available directly from Troels. He joins Jim to discuss his interest in Maine railroading, his use of color, and how his work as an artist influences his approach to the hobby. Jim speaks with Brooks Stover about how a website for his S scale layout evolved to become the de facto home of the Buffalo Creek and Gauley Railroad historical society. Trevor talks to James McNab about how he’s faithfully modeling an industrial track operated by the Iowa Interstate Railroad. Dave Arnovitz, Terminal Superintendent, Norfolk Southern Corp.
Members of the National Model Railroad Association welcomed a new president at 2012 annual convention – held this past summer in Grand Rapids, Michigan. But Charlie Getz is well-known to many in the hobby, especially those whose interests tend to be “narrow-minded”. Charlie is a regular columnist for the Narrow Gauge and Short Line Gazette and a popular speaker at the annual National Narrow Gauge Conventions. Charle joins Jim to describe his goals as the new president of the NMRA, and provides some teasers about plans to boost the benefits of membership. There’s a long history of prototype railroads using models as training tools – for everything from learning to switch cars safely, to understanding the nuances of dispatching and signalling. And that tradition continues today. When planning an educational display for a corporate banquet, a group of employees from the Lake Division of Norfolk Southern Corp turned to the hobby world for inspiration. Dave Arnovitz – Terminal Superintendent for Norfolk Southern in Detroit – recruited hobbyists Mark Olstyn and Greg Rich to build the portable layout. Mark and Greg created a 12′ long switching layout featuring a pair of identical yards – allowing two, two-person teams to switch cars while learning about safe operating procedures. At Dave’s request, they delivered a fully-scenicked layout with its own case for transportation – and accomplished this in approximately two months. Dave joins Trevor to discuss how the project came about, and how this interactive lesson in railroad safety has now become a permanent training tool for the railroad. Trevor talks to Layout Design SIG founder Doug Gurin about the importance of good planning, the role of the LDSIG, and the unexplored frontiers of layout design. Jim welcomes back NMRA president Charlie Getz to discuss the proposed Magic of Scale Model Railroading exhibit at the California State Railroad Museum.